Being cheap, and having a husband that loves open source software, I decided to use the free software GIMP. Photoshop would work awesomely, too, but like I said... I am cheap. 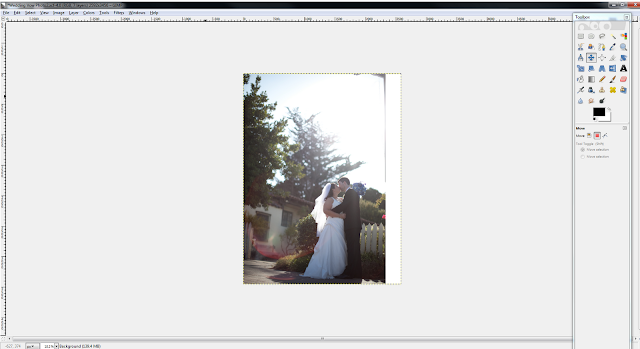 I started out by choosing the photo I wanted to add words to, and importing it into GIMP making sure to use a layout equivalent to the size of gallery wrapped photo I was going to buy. Of course, I had to pick a smoochy picture. My husband I decided that we wanted the quote to be short and sweet, so we decided to use our wedding vows. Being extra-nerdy, I also wanted to use the fonts we chose for the wedding invitations, programs and thank you cards. 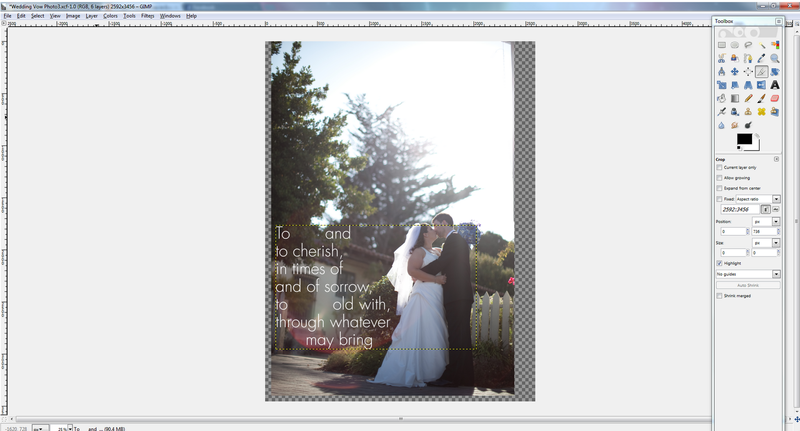 I added a text box with our vows written in the more basic sans-serif font (Futura Light). I deleted a few words I wanted to emphasize and replaced the characters with spaces. 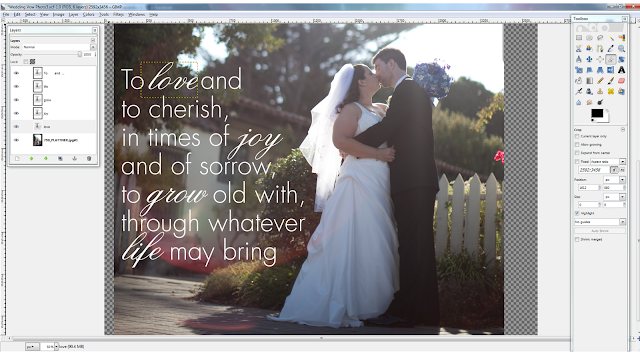 After making sure I had plenty of room for the emphasized words, I used our more fancy serif font (Citadel Script) to add our keywords of love, joy, grow and life. Each word was a different text box, in a different layer. I carefully placed each word. Once I was happy with the placement of the words, I simply cropped it to the desired size, flattened the image and uploaded it to Picture It On Canvas. There, I had the photo gallery wrapped using a special edging that just stretched out the sides, as I used a photo that didn't leave extra room around the edges. It worked perfectly. Less than a week later my new gallery wrapped photo was happily hanging in the center of my gallery wall! Such fantastic Wedding Vow Gallery Wrapped Photo. I loved this idea. 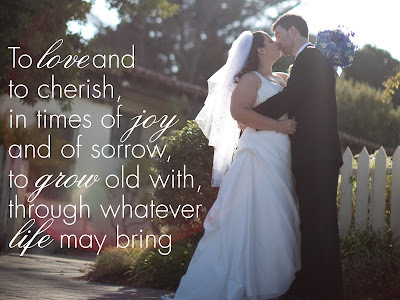 Well dear at this moment I am just having hard time in finding affordable but talented photographer for covering our wedding day at one of the local Los Angeles wedding venues. 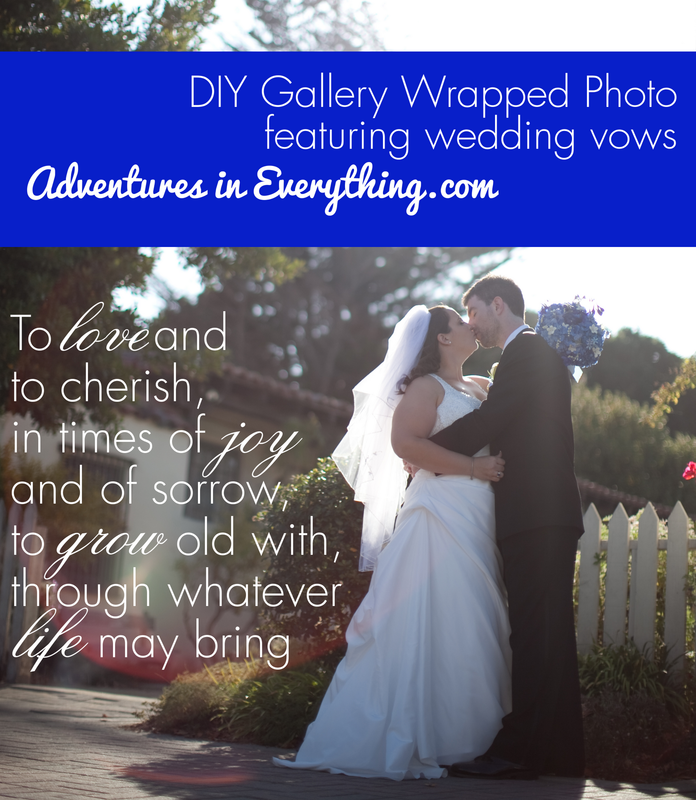 Do you know about budget friendly LA photography services?